The Stuart Hall Library Research Network’s first event of 2016 was a discussion of the issues and experiences behind setting up pavilions for two previously unrepresented nations at the Venice Biennial. The first Roma Pavilion was established in 2007 and the first Seychelles Pavilion in 2015. For those of you who missed it, audio recordings of the event are available at the bottom of this blog post. The audience heard accounts of the experiences of artists and curators who instigated and participated in both pavilions. 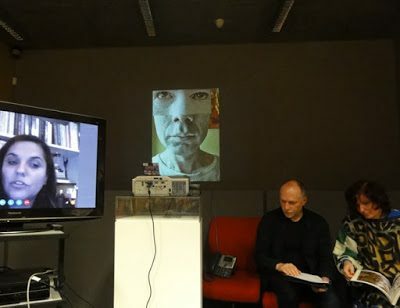 The Roma Pavilion curator Timea Junghaus talked to us from Budapest via Skype and Roma artists Daniel Baker and Delaine Le Bas were here in person. Artist and researcher Nitin Shroff; commissionaire for the Seychelles Pavilion appeared in person and talked to artist Léon Radegonde in the Seychelles via telephone. The artists and curators shared their views on the implications of participation in and recognition by an international art exhibition for national and cultural identity.